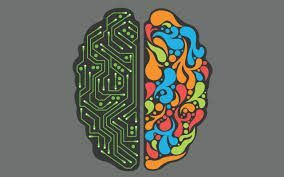 Perhaps the hardest part of being an investor is refereeing the struggle between your left brain and your right brain. Some of you, surely, have experienced this conflict over the past several weeks of stock market tumult.The left brain is analytical. The right brain is emotional. All the best investors make decisions using their left brain. Which, of course, makes perfect sense. Unless you are thinking with your right brain. Over the long-term, the stock market is highly likely to go up. 10-year trends are meaningful. 10-day trends are meaningless. The chances any individual can successfully time the market are low. That’s because you have to know when to sell and when to buy back in. When you sell with a gain in a taxable account, you will pay tax you otherwise could postpone paying for years. Long-term, the surest way to lose money is to own cash. Over decades, cash will almost always lose purchasing power. Following the stock market’s daily gyrations on the TV or internet helps your decision-making. 1-week, 1-month or 1-year performance is a good indicator of the future. If you sell now and buy back “when things settle down”, you will generate a decent return without all the ups and downs. Only a billionaire can afford to be patient. The human brain is wired to fail in investing. Study after study shows we suffer more pain from loss than we get satisfaction from gain. How can we possibly succeed? Here’s how. Never make an investment decision under pressure. Stop and think. Look at your long-term financial plan. Write down the pros and cons of any action. Talk to someone (or several people) you trust. Wait days (or, better, weeks or months). Then reconsider. In investing, doing nothing is often the right decision.